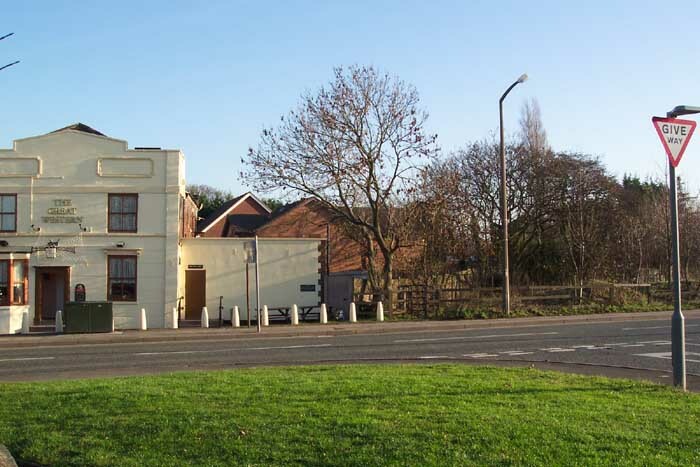 Opened in 1854 as Daisy Bank & Bradley station on the Oxford, Worcester & Wolverhampton Railway (which later came under GWR ownership) the station doesn't seem to have grabbed the attention of the region's railway historians hence the scant information I could find on the station. The station closed, as did many, for the period of the Great War, reopening in 1919 and finally closing in 1962 (pre-Beeching). 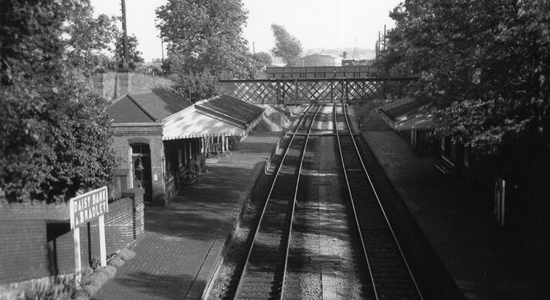 Above we see Daisy Bank station in 1962 (photo: Kidderminster Railway Museum). 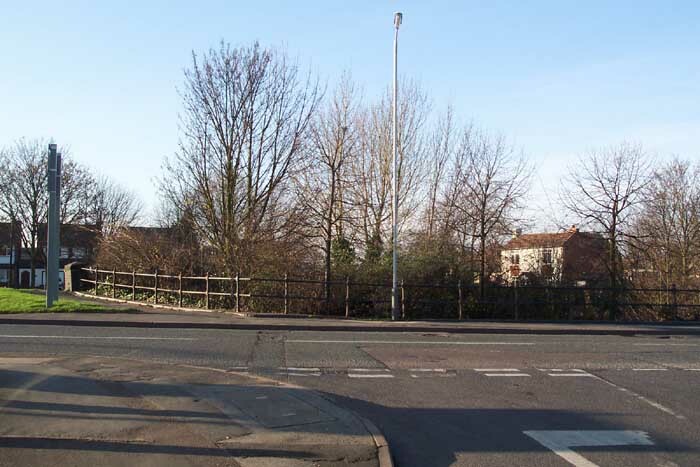 Above-left we are on the junction of Hall Green Street and Ash Street and can see the line of the railway passing from right to left along the roadside - the bridge parapet in the previous photograph can be seen to the extreme left of the shot. Above-right we are looking along Rounds Road with the station site to our right - I have included this shot as I have a feeling that the house (due to its architecture when compared with other GWR stations and the fact that it doesn't fit with any of the other housing in the street) facing the camera was the stationmaster's. 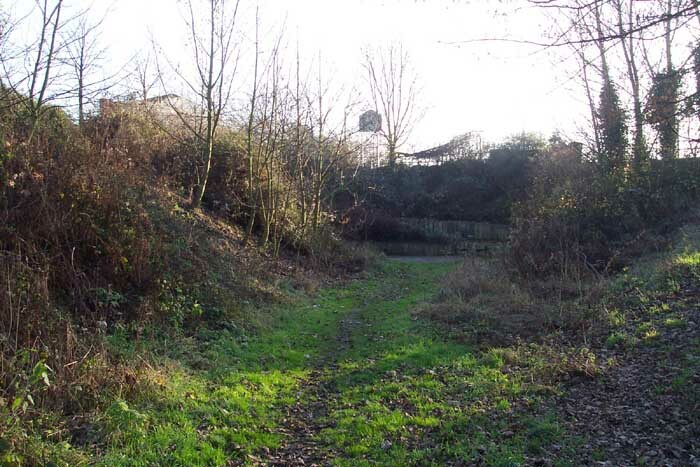 Above-left we are on the trackbed with Rounds Road to our right and looking ahead to where once the lines passed under Ash Street/Daisy Street towards Princes End & Coseley. 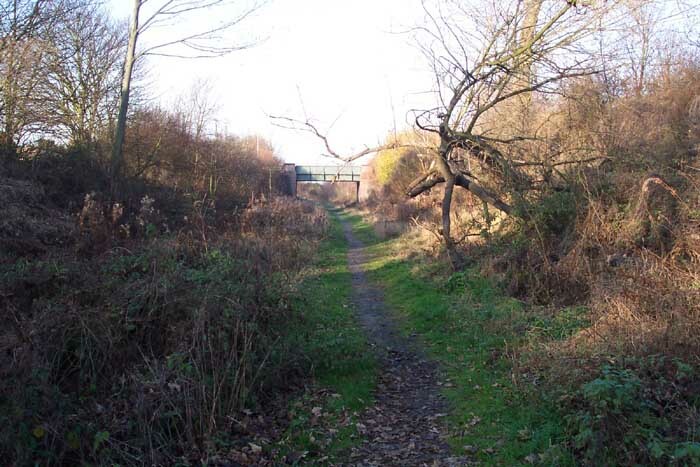 The trackbed is now a 'nature walk' - which I would posit somewhat cynically as a synonym for it not being of significant saleable value so left to pasture - and the photographer is standing roughly at the spot once occupied by the platforms. Above-right we are in the same spot but this time looking towards Bilston West and the Lane Street bridge can clearly be seen in the distance. 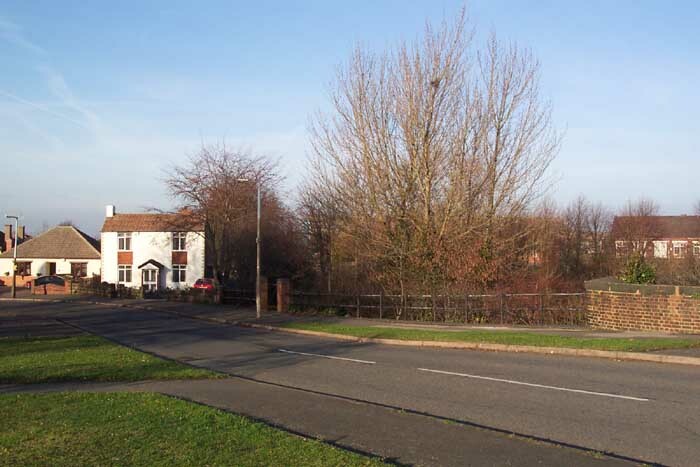 Above-left we are standing next to the bridge parapet looking across Ash Street with the Great Western public house to our left (somewhat of a clue) looking towards Princes End & Coseley. Above-right we have crossed Ash Street to get a better look at the now filled-in trackbed alongside the Great Western. 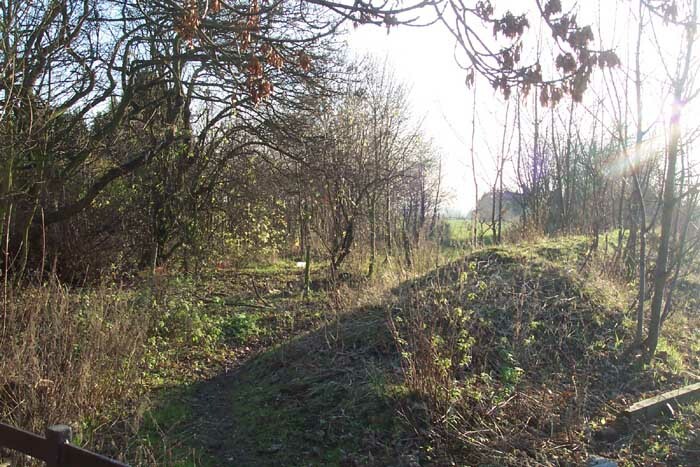 This spot is worth a visit and, if I'd had more time, I'd have liked to have walked along the trackbed to see how close to Bilston West it was preserved.